India has been making a lot of noise in the banking, fintech and cryptocurrency sector lately. The country, currently heading towards a financial revolution now has plans to set up a fintech hub. The proposed fintech hub will be established in the city of Vizag. According to reports, the concerned government has allocated resources to set up the necessary infrastructure in the “Fintech Tower”. Slated to go live next month, Thomson Reuters and Visa will be among the first few companies to set up shop in the Fintech Tower. In addition to the two big global players, the state government has also signed MOUs with other companies like Paytm, BlockTrust, GMS Solutions, Transaction Analysts and Knolscape to run operations from the fintech hub. With the government’s push, the fintech hub is expected to accelerate the adoption of financial solutions both in the government and private sectors. Visa and Thomson Reuters already feature among the companies working on blockchain-based applications for financial industry. BlockTrust is another prominent name in the industry known for its blockchain certification and crowdfund hosting solutions. In addition to their regular operations, Thomson Reuters will be developing fintech initiatives using government infrastructure and university resources. Meanwhile, Visa will be involved in promoting financial literacy among the general public and college students alike. Visa has reportedly agreed to introduce QR code and NFC-enabled payment solutions for government and business segments. 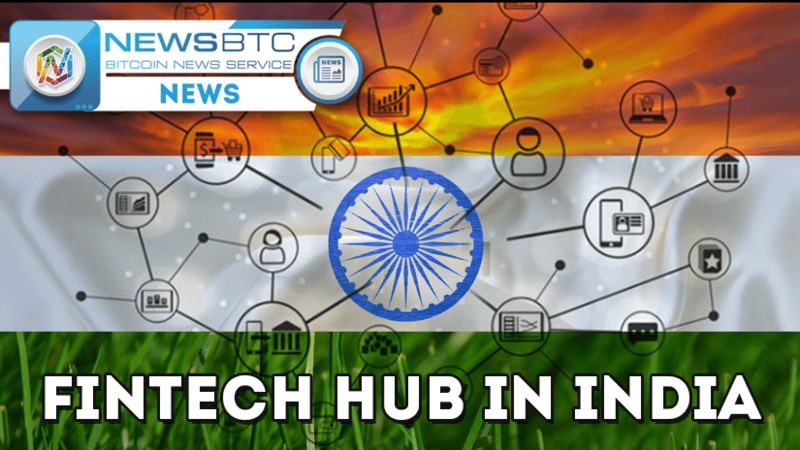 The involvement of these two companies alongside other prominent international and domestic players in fintech and blockchain space will put India in the world fintech map. The country still has to catch up with other fintech destinations like Hong Kong, London, and Singapore before it can be in a position to compete for the “Global Fintech Hub” or “Asia’s Fintech Hub” tag.